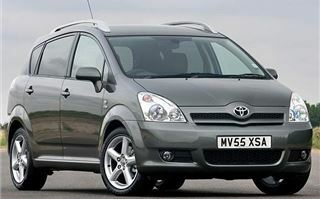 Thinking about the Toyota Corolla Verso 7-seater, there’s no doubt that mid-size MPVs have been getting better to drive. With the first generation, roll understeer on a bend could leave you with the frightening decision whether to let the thing stray onto the other side of the road or run the risk of rolling it. The Picasso was an improvement. 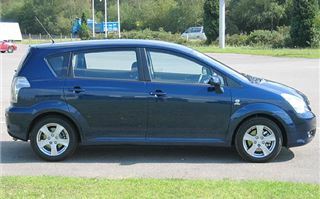 Then the new Scenic and the C-MAX completely re-wrote the rulebook, handling easily as well if not better than their hatchback counterparts. Now we have the new Corilla Verso, with seven seats in stead of five. Today’s Toyotas all handle a lot better than the badge implied five years ago. 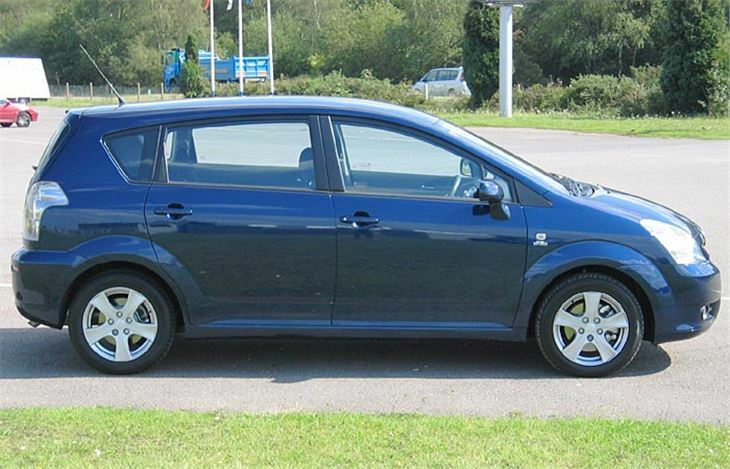 The Corolla is as good as a Focus, lacking only Focus steering feel. And now Toyota has decided to put that right too. I noticed a lot more meat in the steering of our Soluna Vios than I’d ever felt in a Toyota before. And it’s the same story for the new Corolla Verso. So it not only handles well, it makes you feel part of the car. ‘Delightful to drive’ is only slightly over the top. It’s very good indeed. 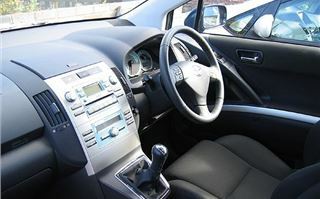 Inside, there’s familiar Toyota switchgear for things like windows, doorlocks and mirrors. The good looking black dashboard is rock solid with silver-blue CD and a/c controls in the middle and really nice ‘Optitron’ dials straight in front of you. They have adopted the keycard, push-button starter system of the Prius II. The gearshift sprouts out of the dash, MPV style, and is exactly the right distance from the wheel. Its cupholders runneth over (seven in the front alone and eleven altogether). 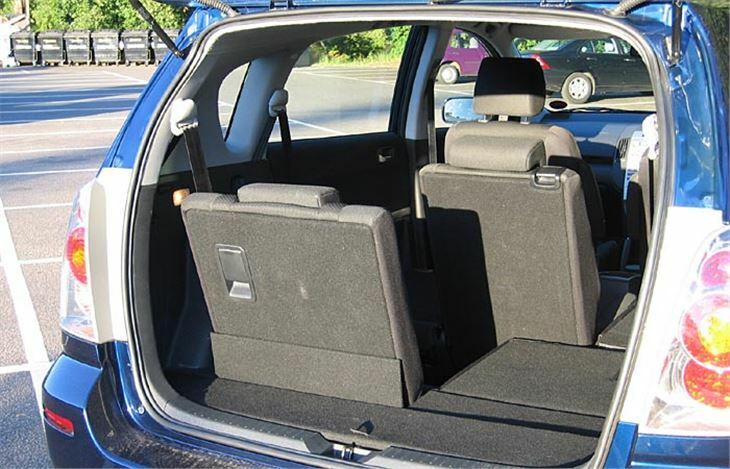 All five rear seats fold away separately to become a high floor. The rearmost are particularly clever because as you fold them away the squabs pop back automatically, like a mouse into its hole. If there are three of you and a lot of luggage, the third can sit in the centre rear seat with a clear view ahead between the driver and front passenger. 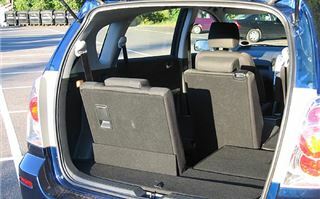 True, there is very little luggage space with all seven seats in use, but for a seven seater the same length as the Prius you can’t have everything. 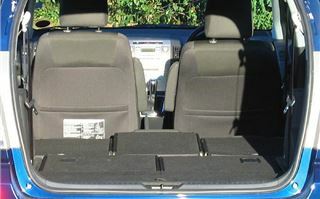 And if you’re carrying six you simply flop down one of the rearmost seats to provide adequate room for baggage. In Thailand Toyota sells a similar car called the Wish. 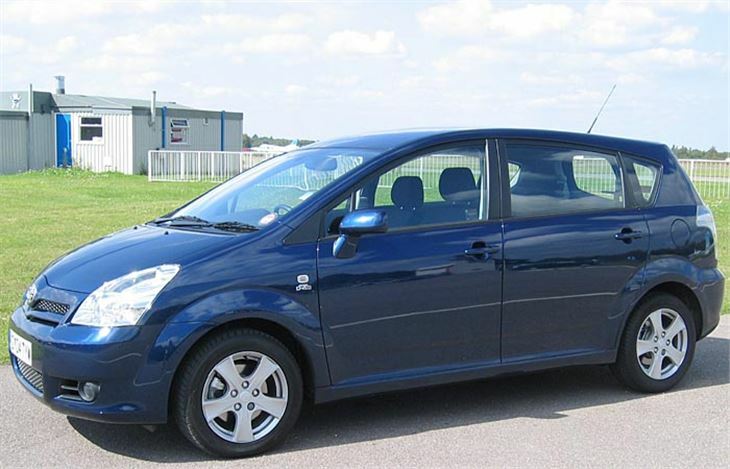 It’s very confusing because the Wish is slightly longer and lower, has a 150PS 2.0 petrol engine, yet only carries six people and sells on luxury rather than practicality (see car by car breakdown). But we haven’t drawn the short straw. 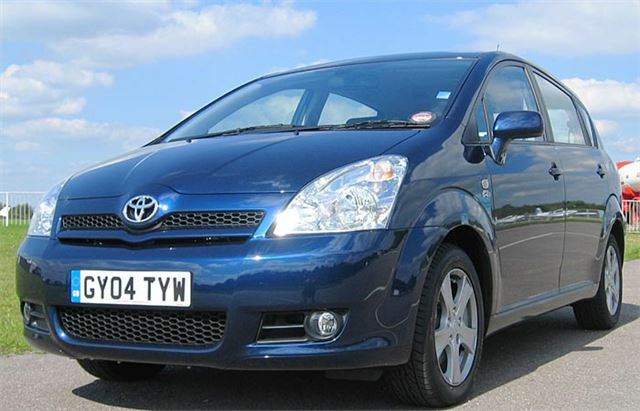 The UK Corolla Verso, and especially the diesel, is so much nicer to drive then the Zafira and so much more solid than the Scenic, it’s the ideal answer for anyone needing a commodious car that’s not too big yet can carry five adults and two children. Its closest competitor is the VW Touran TDI 140 and though the Touran TDI DSG is very good, the Corolla Verso is still a nicer drive. On top of that, you can't get safer than the new Corolla Verso's Five Star NCAP crash safety rating.